The DM383B is a best seller among HVAC and appliance technicians. 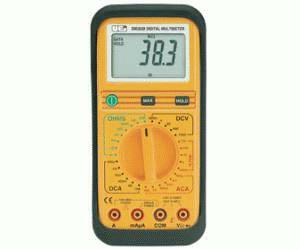 This basic digital multimeter offers all the standard features expected in an industrial-quality meter. The extra-large, 4000-count display makes the readings easier to see, plus the range and function indicators provide you with more on-screen information making this a solid value.